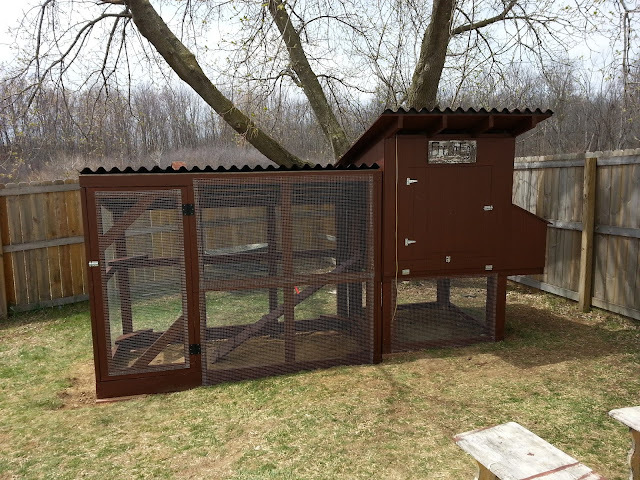 I have had a few questions about the sliding door for the chicken coop and so I thought I would do a quick video since I have not really shown the details previously. The design I came up with for the door is very simple and easy to setup and can be done with scrap wood left over from building the coop. For the door itself I used some poster board to free hand a egg shape that was of suitable size for the door. I then traced it into place on the chicken coop siding and used a jig saw to cut out the opening. Once we had your hole I screwed in 2 2X4's on each side of the framing for each side of the door on the inside of the coop. This will act as the guide for the sliding door. These guides protrude about 1/2" out from the framing. I used some scraps of 1/2" OSB and nailed them to the front edge of the 2X4's to keep the door from being able to swing inward. I then cut a piece of left over OSB to fit in the track I had created and screwed in two eyelets tot eh top edge. I am using some nylon rope I have lying around but you can use whatever you have available I tied off the rope through the eyelets in a triangle to leave one main rope centered on the door leading straight up from the center of the door. Directly above the door on the ceiling I screwed in another hook (better to use a full eye here) this servers as the lift point for the door and routes the rope over to the side top edge of the coop. I drilled a hole through the siding between the framing and roof joists and routed the rope through. The outside of the coop has a small hook and the rope has a loop tied in it to hold the door open. This setup has been working pretty well for the past year and a half but there are a few improvements I will probably make. I wish I would have used larger gauge hooks and eyes for this project since I have had a couple of the bend and pull out. Not a big deal but just something I had to fix. I would have left a larger gap on the tracking so that the door had more room for expansion and contraction depending on the humidity and temperature as sometimes it can get a little stuck in the summer months. I also would have left a gap at the bottom of the track so that any bedding or chicken mess could not get stuck in the track. This is such a convenient set up for a chicken coop. 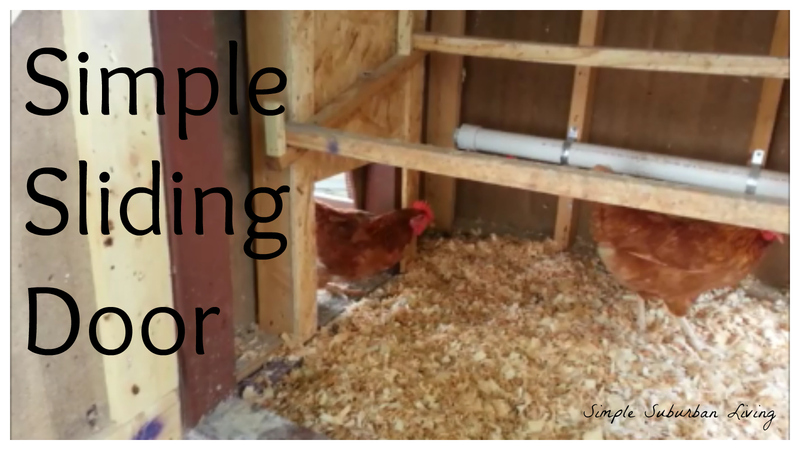 It's easy to care for and easy to get the eggs and healthy for the chickens. Great job! !